This listing features a Pendaflex Box of 10 Letter Size 1 Divider Hanging Blue Classi-Folders New. 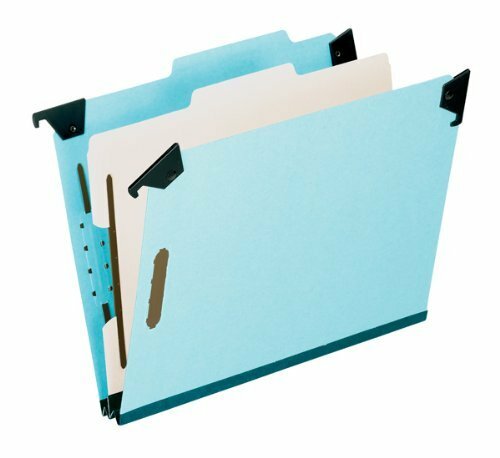 Item Specifics: These durable 100% pressboard folders have prong fasteners inside both covers and on both sides of dividers. 25 pt. blue pressboard covers have 2/5" cut self-tab index tabs in right of center position. 20 pt. pressboard center dividers. Hanger rods fold down for convenient transporting. 2" expansion gusset made of long lasting Tyvek tape 10 folders per box. Listing is for 1 box. Visit my store for a vast variety of interesting items!